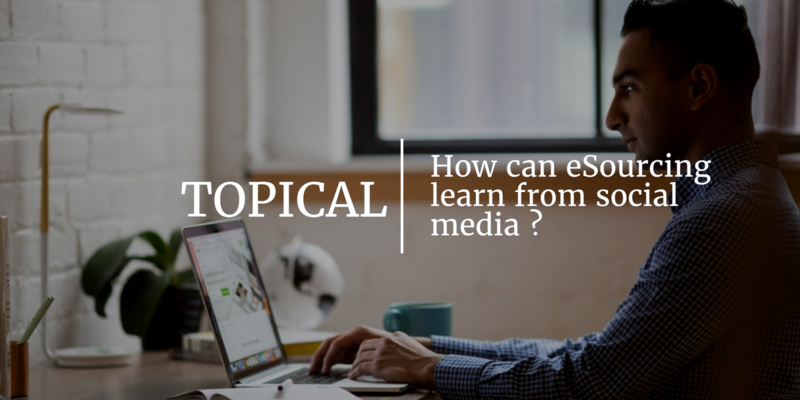 How can eSourcing learn from social media ? For years social medias has continued to develop. From the creation of Facebook over 12 years ago, allowing individuals to represent themselves on a single page. The evolution of Twitter, limiting the number of characters that can be used in a single ‘tweet’ to 280. To the eventual creation of Tinder that matches couples based on their physical attraction to each other. Social media has revolutionised the way we socialise on a daily basis. 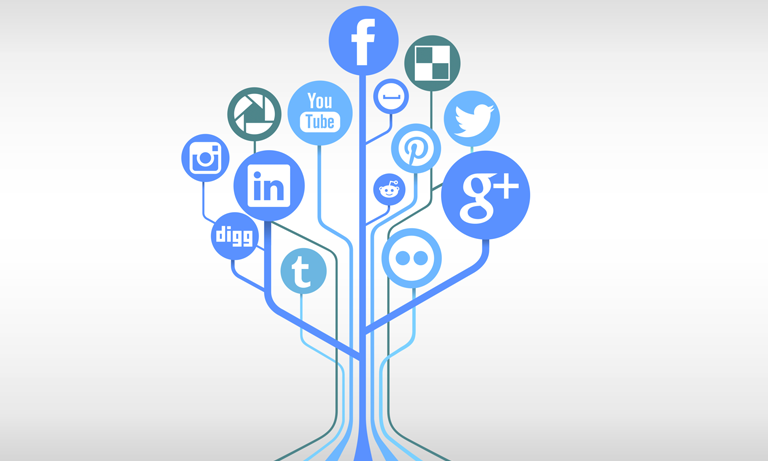 Central to the success of any social media platform is its ability to engage users. Engagement in social media is measured by how much and how often others interact with each other and their content. This is influenced by content, usability of the system and its reach. Successful SaaS sSourcing providers are typically easy to use and have the ability for suppliers as well as hosts to use the application anywhere in the world. Ideally an eSourcing platform would allow users to create content, potentially increasing the use of the software for enjoyment. In the future there is potential for further gamification as an avenue to explore to encourage user engagement. Social media platforms such as Linkedin and Facebook have the ability to bring together contacts from around the world. In recent years you can expand your network and connect with individuals who you don’t know but share a common interest such as sports teams, universities and previous job history. Most eSourcing platforms are similarly moving down this route to connect hosts with more suppliers and also hosts with other hosts. Ideally an eSourcing system would have the ability for hosts to expand their networks of suppliers. An example of how you could do this would be a database of suppliers that would allow new hosts to invite other suppliers to their network. Thereby using the SaaS application to expand networks and find new contacts. Integral to any modern social media platform is the ability for a user to express their opinion over a particular topic. This can be done in the now popular method of ‘liking’ content. In this case eSourcing platforms typically don’t have an option of expressing opinions due to the limited content that is shared between hosts and suppliers. However, could platforms integrate this ability as an alternative way to gain additional feedback on tenders. Twitter has created an incredible ability to disassemble content into 280 characters or less. By limiting the number of characters in a ‘tweet’ it allows users to easily process information in small chunks. eSourcing as with other industries are still looking for ways to further condense information into smaller forms, however the development of visuals over the last few years has gone further to dissembling information into easy to read content. Twitter has been used by past clients to advertise their tenders to a wider audience and then is certainly more scope for this. Social media platforms have advanced in recent years to make the process of sharing content both straightforward and effective. By using already existent content and distributing it to other users, it both lessens the need for new content and encourages or develops the relationships between users. A form of sharing content is already being used in eSourcing through templates, guides, forums, and just in the process of general tenders. We foresee this to increase as eSourcing becomes even more integral to businesses, especially with respect to the community as a whole sharing ideas and experience. Events are being used by social media applications to interact and develop relationships between users. Whether it’s scheduling your social calendar with ‘Events’ on Facebook or reacting to real-time events with ‘trends’ on Twitter. eSourcing systems such as Market Dojo already use events such as Reverse eAuctions as a method of interaction between users. However the ability to show events taking place by other users and what is going on for other suppliers to join might be beneficial to create interaction and ultimately success.. Obviously there are issues with confidentiality and security that need to be upheld. Social media has many aspects that are being used in eSourcing, while there are some aspects such as the dissembling of information into a very limited number of characters that have yet to be adapted. Here is a breakdown of different features that we believe eSourcing can adapt from social media. What can eSourcing learn from social media?